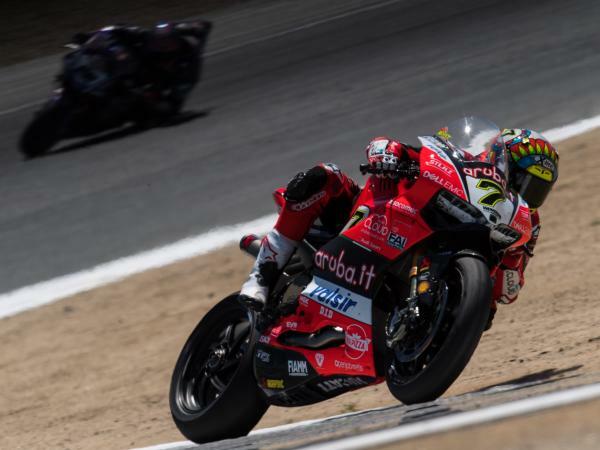 The Aruba.it Racing - Ducati team stepped on the podium once again in Race 2 at Laguna Seca (United States), home of the eighth round of the WorldSBK Championship, with yet another second-place finish by Chaz Davies. The Welshman started strong from third row, immediately recovering positions. After some hectic early laps, also due to the track's layout that makes it difficult to pass, Davies found his pace and managed to climb back to second position, mirroring Race 1's result. 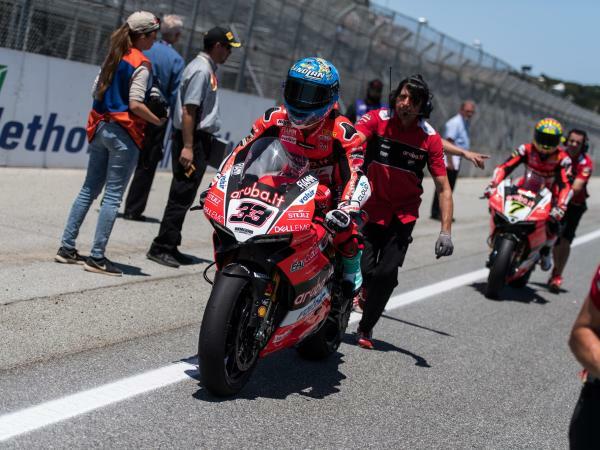 Marco Melandri, who started from first row, faced some more difficulties and crashed at turn 5 during the fourth lap while trying to stay with the leading group, in fourth position. 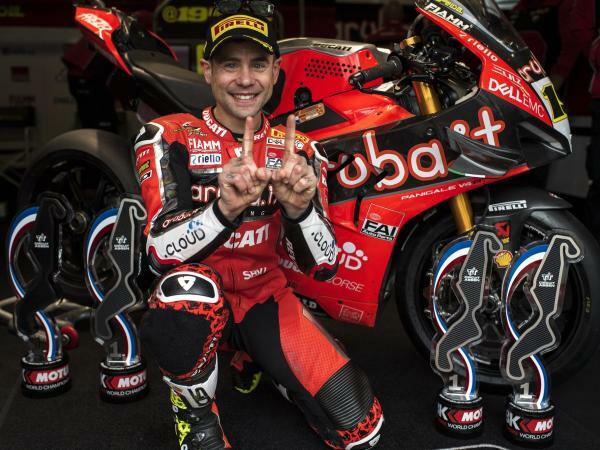 The Aruba.it Racing - Ducati team will be back on track at Misano (Italy) for the ninth round of the 2018 WorldSBK Championship, scheduled for July 6-8. "All in all, we can be happy with this round. The goal is always to win, but it's good to be back at the front and I feel we got the best out of myself and the package this weekend. We're back at the sharp end after a couple of tough rounds. We're not too far away from our main rivals, we just need to fine tune some details. Today I got a good start but, to be honest, I was twitching a bit with the front in the early laps and I wasn't even pushing that hard. Then things leveled down, I got into my rhythm and climbed back to second. 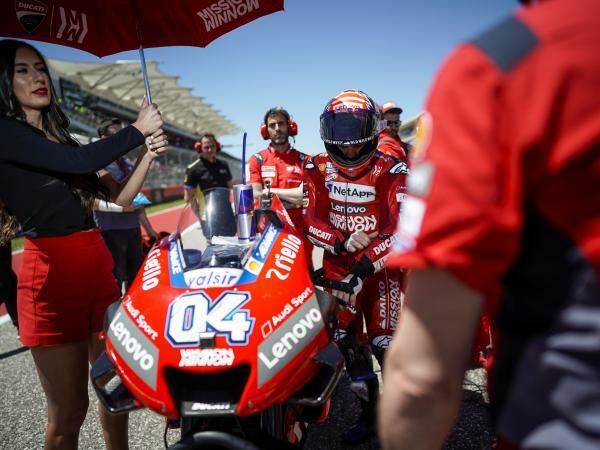 We've made strides in the areas in which we've been struggling recently, so we just have to go to Misano and see if we can polish up those final details." 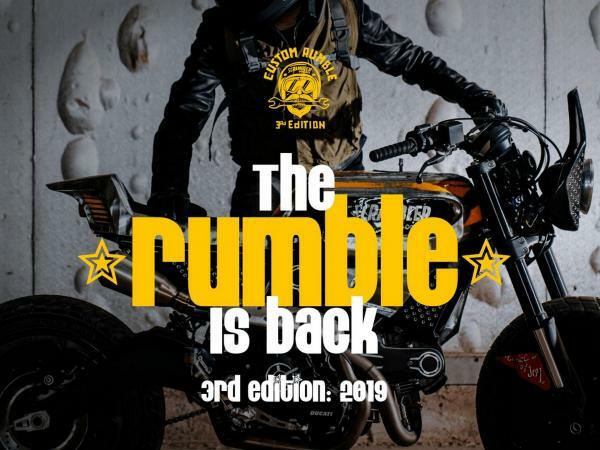 "Unfortunately, when the grip decreases due to high temperatures, the bike becomes more difficult to handle when the tarmac is a bit bumpy. Today, I was losing a lot in corner exit and, while trying to make up for it, I had to push more under braking. Laguna Seca is particularly demanding with the front, but I didn't expect to lose it in that corner. It's a pity, because we started the weekend strong but, as the conditions changed, we struggled. 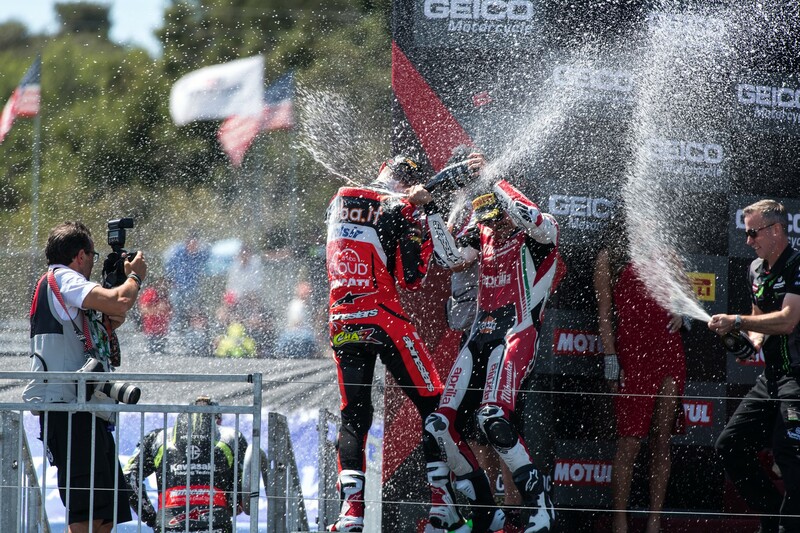 I'm looking forward to Misano, where we scored our first win last year and we know we can be competitive." 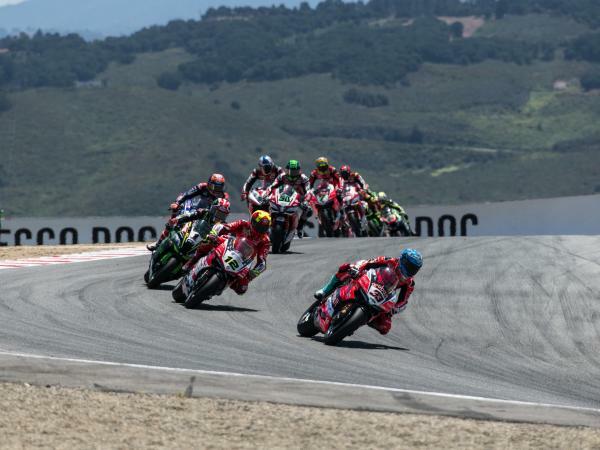 "As always, the races at Laguna Seca are very exciting. 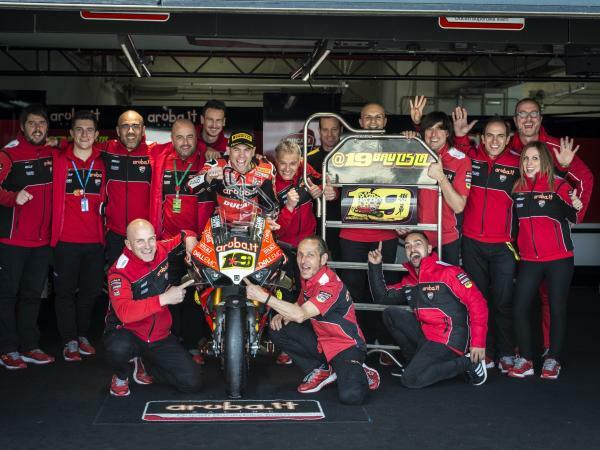 Chaz and the whole team did the best they could, taking home the best possible result, a double podium that leaves us hopeful for the next races. We're sorry for Marco, we were hoping for a better result after yesterday's comeback, but unfortunately his race ended too soon while he was fighting for the podium. We can only keep working hard to be as prepared as possible for the next round at Misano."